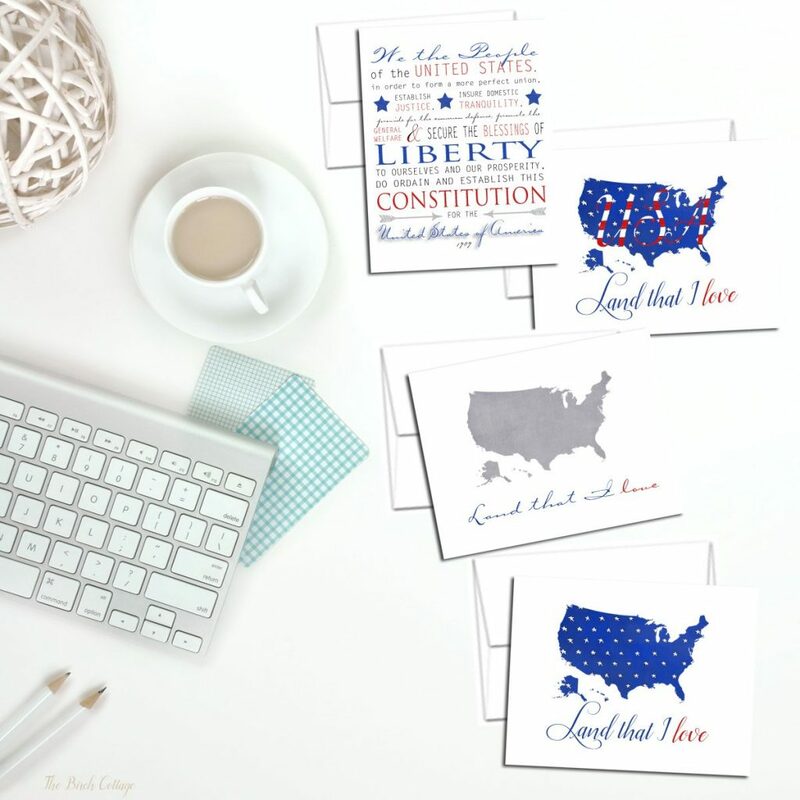 Last week, I shared with you four free printable patriotic prints. Then, I had a great idea (or I thought so)! What if I made the patriotic prints into printable patriotic note cards?! So, that’s what I did! Our son left behind his wife, twin toddlers and a large extended family. Hardly a day goes by that I don’t think about him and hope he’s safe. Although he assures me he’s safe, this mom will feel much better when his boots are on American soil! I never expected our son to enlist in the Army. Actually, I never expected any of our children to enlist in the military. Phillip enlisted in the Army first as a combat medic. His experience in the Army was so different from our son Brandon’s. Phil was a combat medic who never saw combat. Of course, his dad and I are very grateful. He, on the other hand, not so much! Then, there’s our youngest daughter, whom I affectionately refer to as “sailor girl.” This young lady, who was still 17 when she graduated from high school, was planning to head off to college and major in music performance. After hours and hours of talking and option exploration with my husband, she decided that she was playing it safe. Doing what she was comfortable with and really didn’t know what she wanted to be when she grew up. Rather than go to college for the sake of going to college, she thought she’d like to check out the military. Her first choice? The Marines! Yep! She was interested in auditioning for The President’s Own Band. Then decided she’d really like the opportunity to see the world and there’s no better way to do that than in the US Navy. I could brag about our children’s military accomplishments and experiences for hours! My husband and I just could not be prouder of each of them! 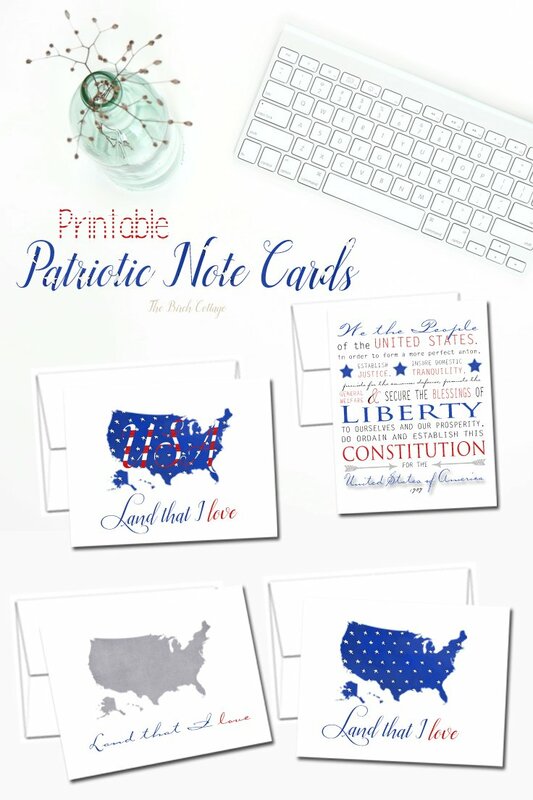 So, to encourage you to send letters from home, I’m making available these four patriotic note cards. I’ve saved each one as a high resolution PDF. 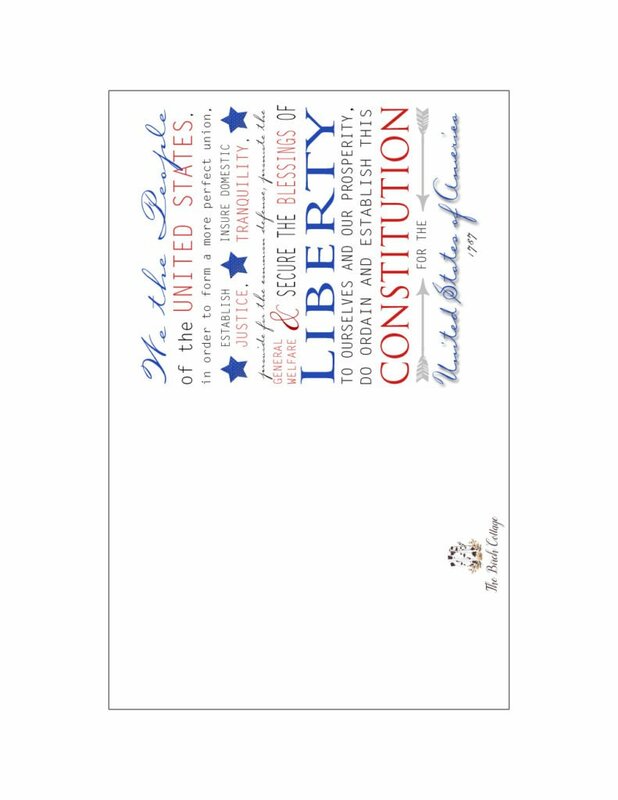 Simply select the card(s) you want to print by clicking on the below image(s). You can then download and save or print the cards directly from your browser. 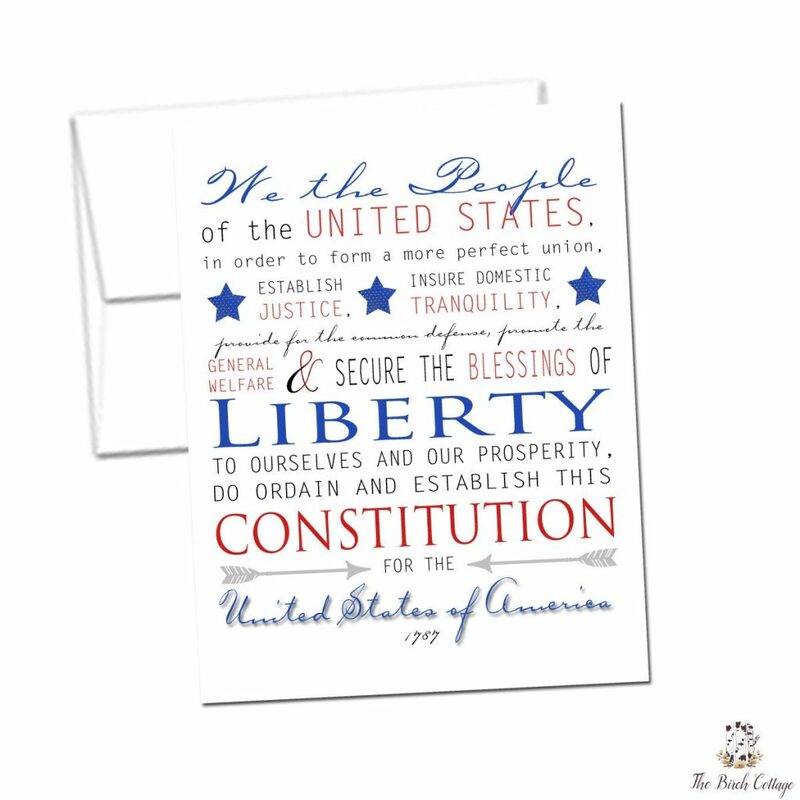 I recommend printing the patriotic note cards on cardstock or heavyweight paper. 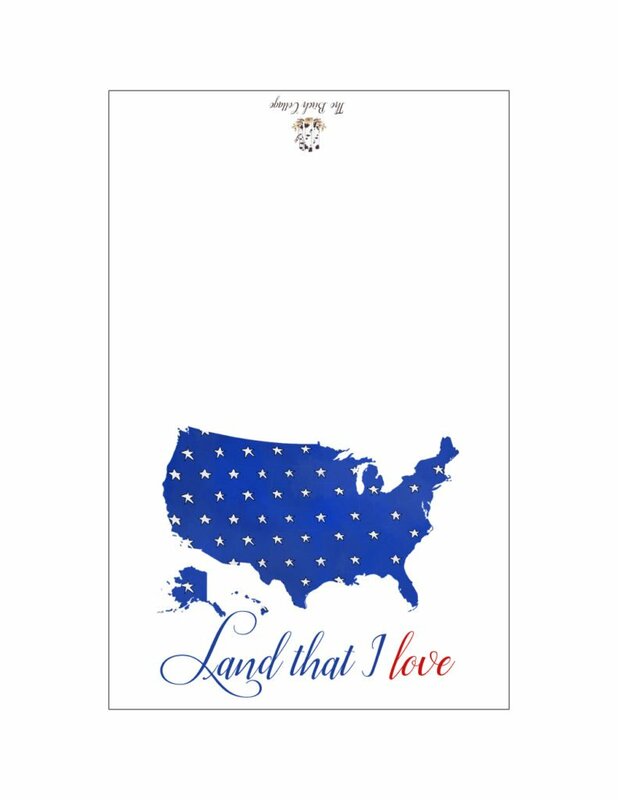 The patriotic note cards were created to be printed on 8-1/2 x 11 inch cardstock or paper and trimmed to 8 1/2″ x 5 1/2″ (4 1/4″ x 5 1/2″ folded). These cards will fit perfectly in an A2 envelope and are the perfect size for mailing, sticking in a gift basket or affixing to a gift package. Please note that this post contains affiliate links. If you click on a link and make a purchase, I may make a small commission, at absolutely no additional cost to you! Thank you for supporting The Birch Cottage Blog and my family! You can read my full disclosure here. For your convenience, I’ve put together a list of supplies that you might need for this project. If you like this set of patriotic note cards, you might also like my printable vintage botanical illustration note cards, including: Vintage Easter Cards, Vintage Fruit Tree Cards and Illustrations, Where to Find Vintage Illustrations, Vintage Botanical Illustration Cards – Set One, or my tutorial for printing on burlap. If you use the note cards, I’d love to hear about it! 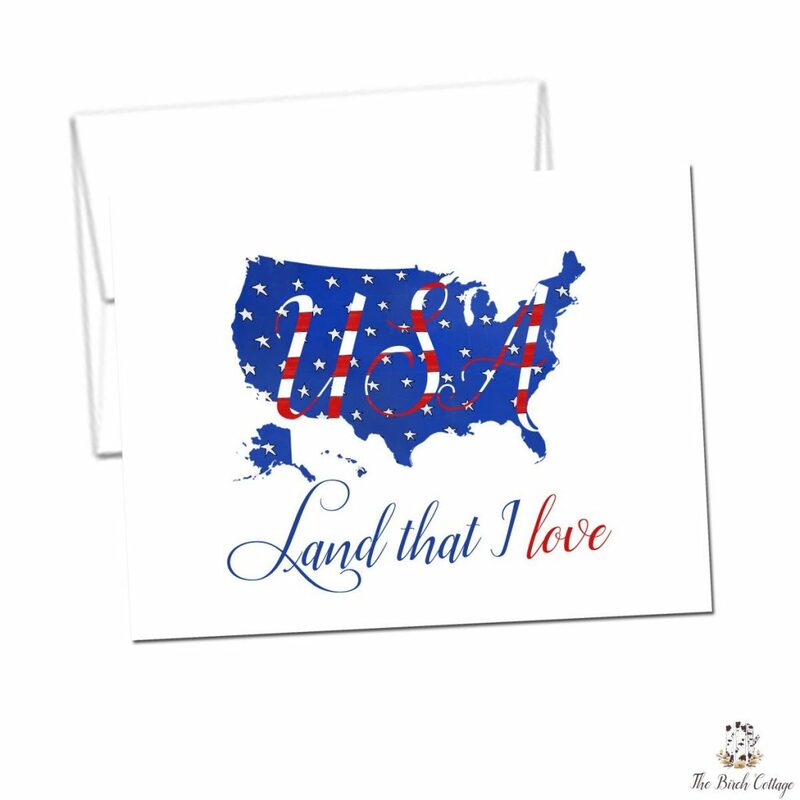 Keep those letters from home coming! Thanks so much. My husband and I spent 23 years in the military. NAVY. Loved the travel but was hard on the family. We were not able to use computers the first 10 years he was in so I wrote all the time. It does make a difference when you can hold something. I now write to people overseas and they are always so appreciative. Thank your kids for me and Thank you for having such honorable kids. We should all have to serve, we would cherish our freedoms more. Gail, thanks so much for your kind words. My kids all just think they're "doing their jobs." They don't quite no what to say or think we people thank them for their service. They are gracious about it, but in the everyday-ness of living, it's nice for them to be reminded that there are those of us who realize the sacrifices they make and may be called to make. Thank you and your husband so much for your service and continued support.